American civilian surveillance satellite. The first high resolution commercial imaging satellite. 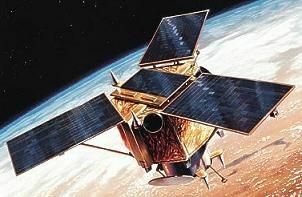 Earth observing satellite built by Lockheed Martin Commercial Space Systems for Space Imaging => GeoEye, USA. Launched 1999. Used the LM-900 bus. Status: Operational 1999. First Launch: 1999-04-27. Last Launch: 1999-09-24. Number: 2 . Gross mass: 726 kg (1,600 lb). It carried a 1-m resolution panchromatic camera and a 4-m resolution color imager, with a 13 km swath width. Built on an LM-900 bus. 6 MR-103G 0.1N thrusters for attitude control. Family: Civilian surveillance satellite, Sun synchronous orbit, Surveillance. Country: USA. Spacecraft: Athena Mars Flyby. Launch Vehicles: Athena-2. Launch Sites: Vandenberg, Vandenberg SLC6. Agency: Lockheed, Space Imaging. Bibliography: 2, 4, 6586, 12648.